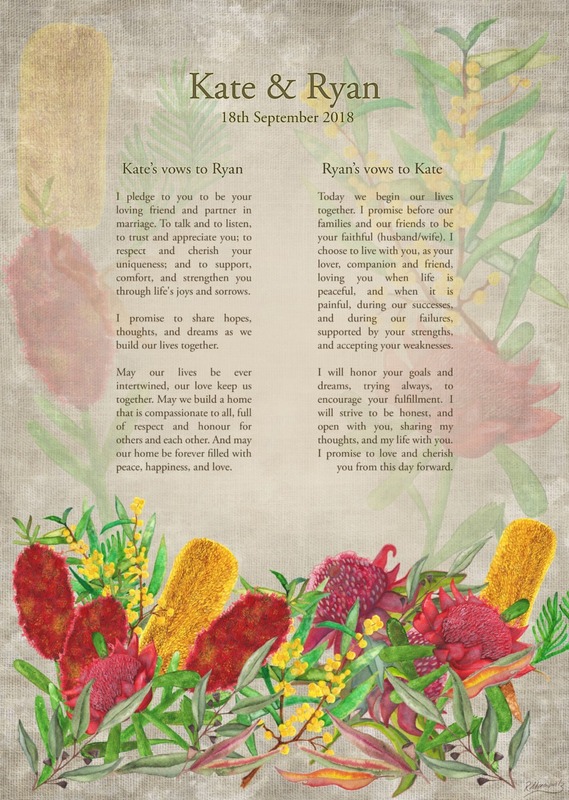 This artwork is a celebration of love, and a celebration of nature. 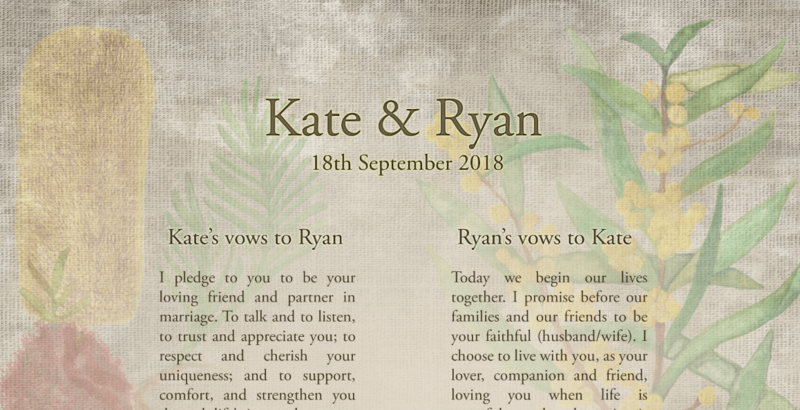 It pairs the two vows of the two lovers, recited to each other on their wedding day. 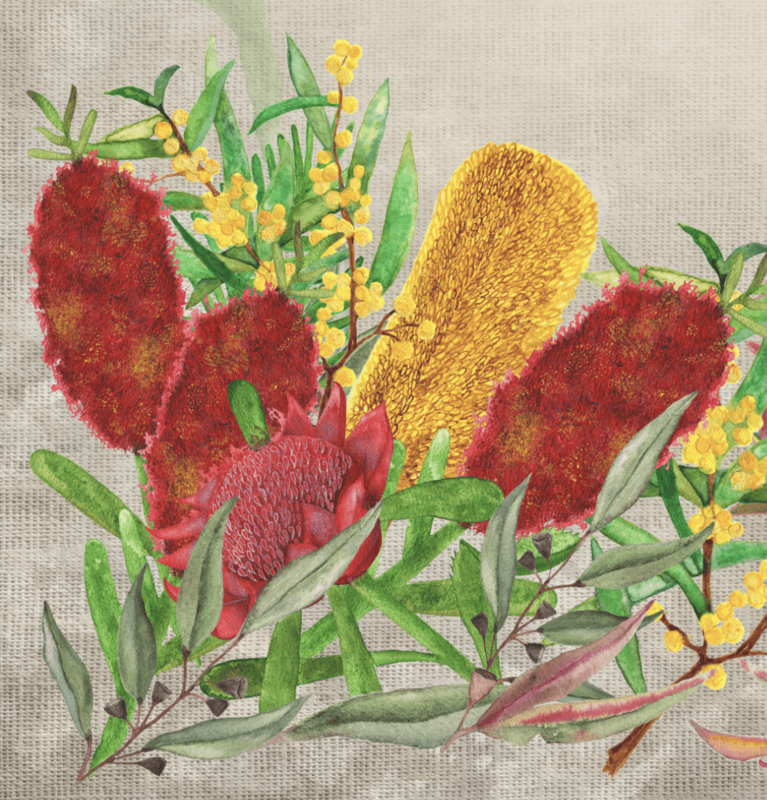 Drawing on significant flora of the Australian landscape and nourished in botanical heritage , wattles, waratahs, bottlebrushes and banksias find themselves arranged in a still life in the foreground. 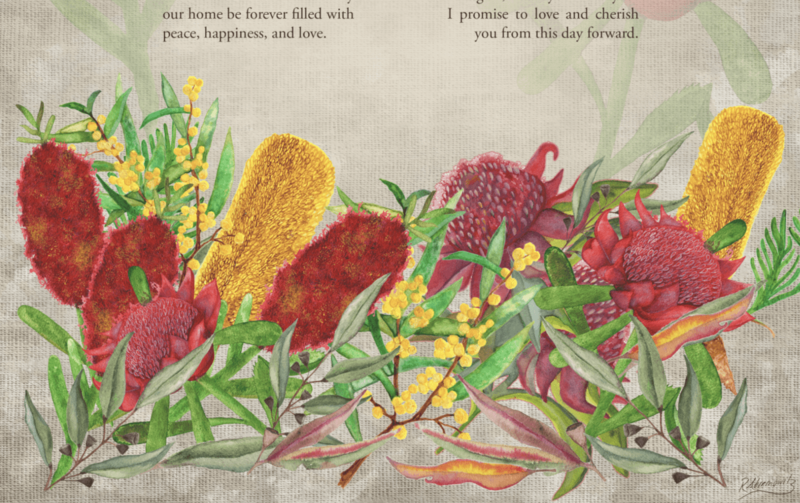 Watercolour washes in earthy tones stain a bed of linen to give a very organic and textural quality to the artwork. 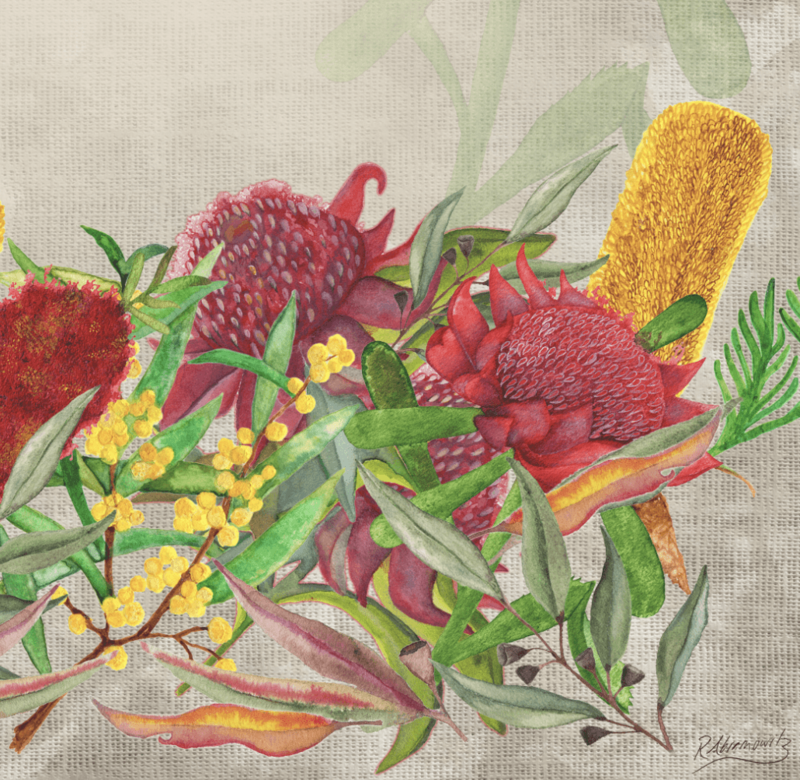 This artwork is a perfect sonnet for an Australian love story. Speak to Ryan about commissioning a piece that houses your wedding vows and recitals today.